Step into Christmas with Exposed’s foolproof guide to ramping up the festive spirit – Sheff style. 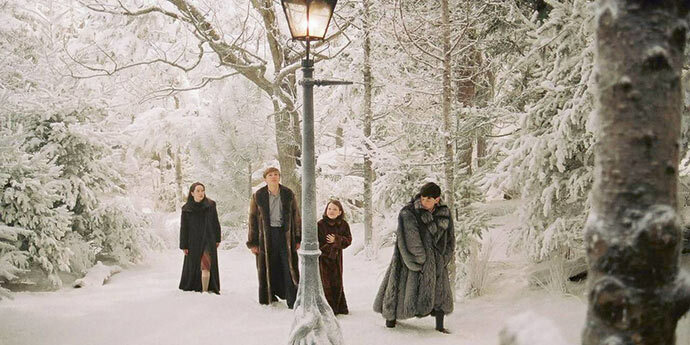 Though there are plenty of spots around the city perfect for a winter walk, not to mention making a brief journey out to the Peaks, a snow-covered Eccy Woods is probably the closest you’ll get to Narnia in Sheffield. With over 300 acres to explore, wrap up warm and walk off the mince pies – finishing things off with a cosy fireside drink in the nearby Rising Sun. 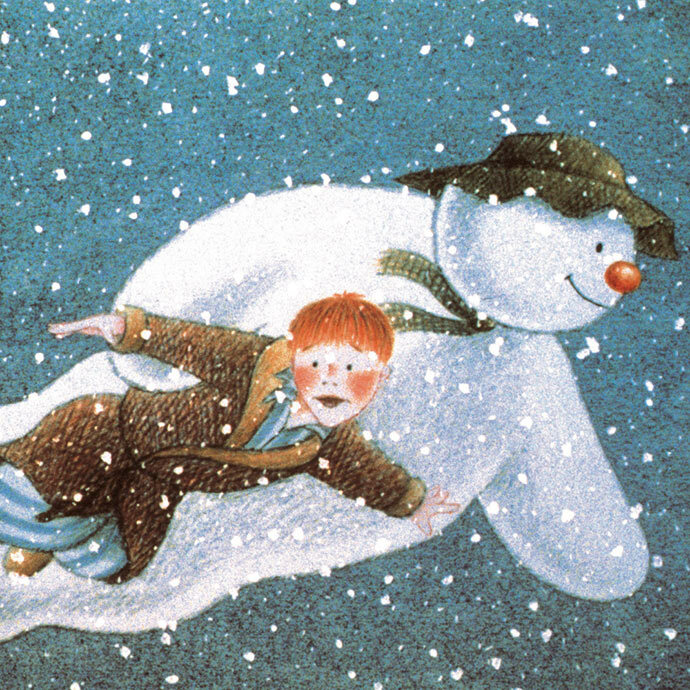 Experience the heart-warming magic of The Snowman at this Carrot Productions concert. Playing the iconic score in full, including the nostalgia-inducing “Walking in the Air”, the live orchestra will be in perfect synchrony with the film. 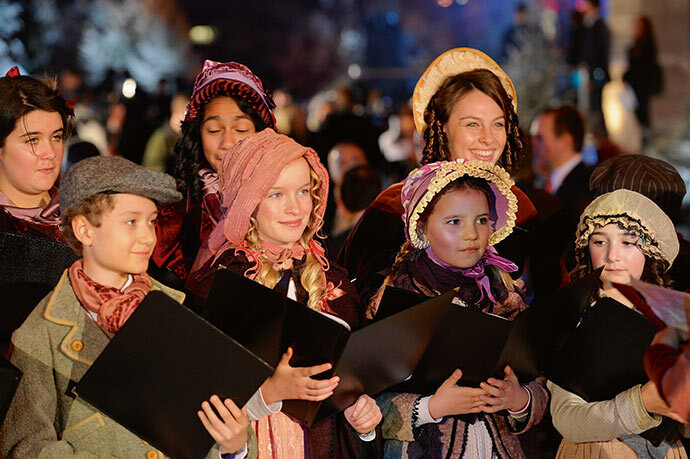 You’ll also be treated to a Christmas medley and a performance of The Bear and the Piano. Head over to local ticket office SIV for tickets. Hark, now hear the Sheffielders sing at Soundpost’s annual Carol Day on 8 December. There’ll be performances from community choirs, brass bands and singers throughout the day, featuring plenty of carolling classics. 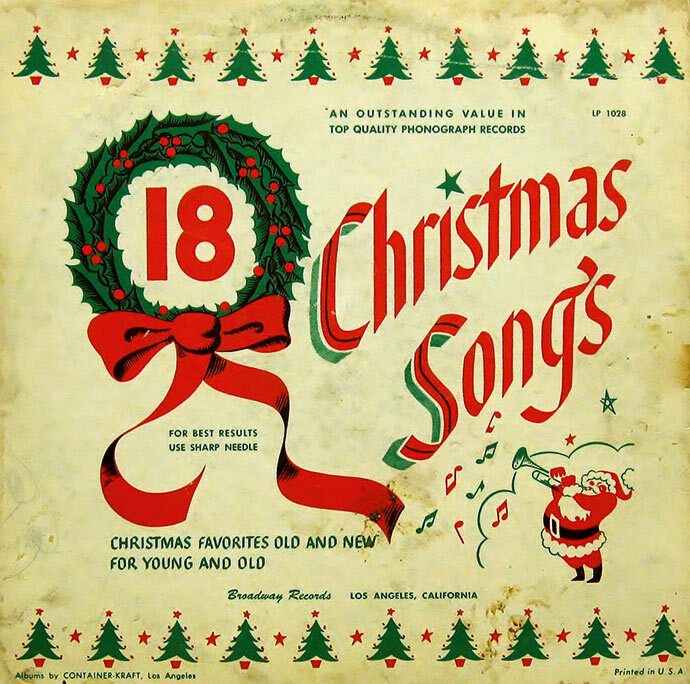 Pop in and join the festive singalong, regardless of vocal talent! There’s nowt like a classic Christmas film to get you into the mood. Head to The Leadmill for a screening of Elf on 10 December, where you can get your fix of maple syrup, candy cane cocktails and popping candy popcorn. The Duke and Duchess of Devonshire’s stately home looks incredible all year round, but it’s particularly worth a visit during December when the home and gardens are given a festive makeover. This year’s theme is ‘Once Upon Time’, which will see each room decorated differently to represent a specific Christmas story. Need a catch up before Christmas? 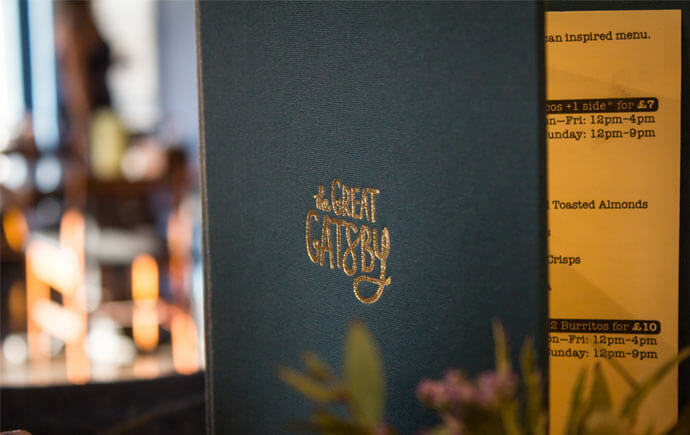 Gatsby is spot on for a small group who fancy a catch up over tacos and cocktails. Each deposit secures a table and gets you two drinks vouchers each. The venue is even promising to sort a game of pass the parcel for those who book. Lovely chaps, aren’t they? 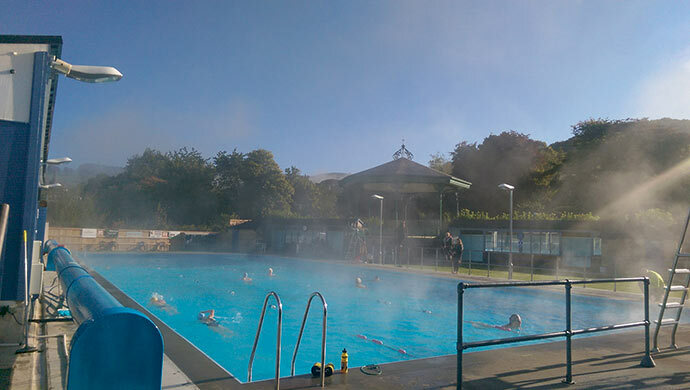 If taking a late-December dip while being serenaded by live carols sounds good to you, the Hathersage pool will be open and heated from 9am-1pm at around 28C to keep merrymakers as warm as possible. Once you’ve finished with the swim, festive refreshments will be available on the veranda with live carols from Hathersage Carollers and Tideswell Band taking place from 11am-1pm. 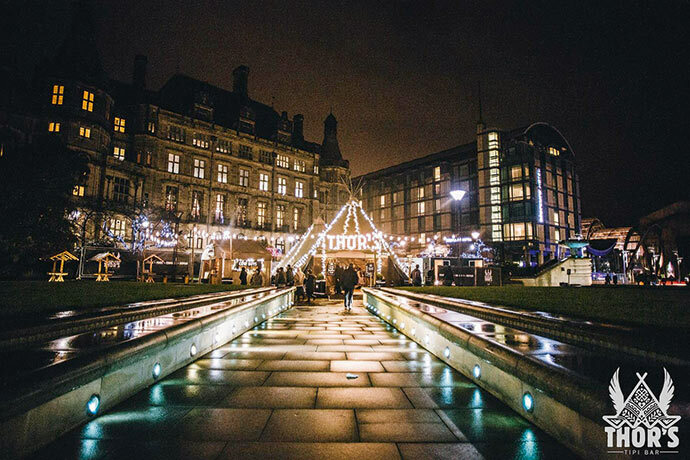 The super-snug Viking tipi makes its return to the Peace Gardens this year, providing a perfect spot to warm the cockles with a mulled wine or three once you’ve finished the painstaking task of Christmas shopping. Nowt says Christmas like a good old fashioned tennis table tournament, does it? 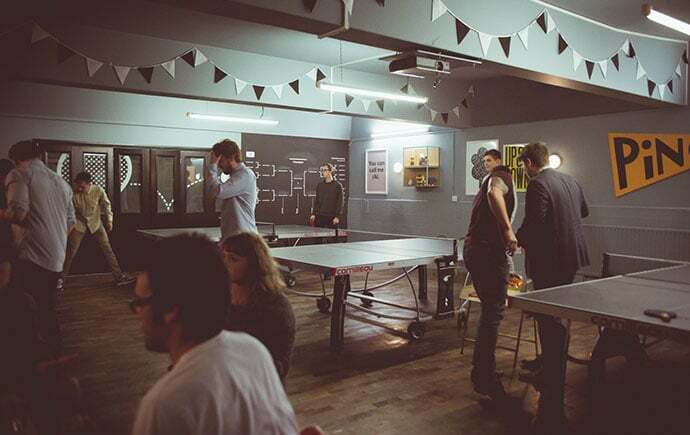 Picture House Social is offering out its games room for a very reasonable price. For £150 (fiver each if there’s 30 of you), or £300 on weekends, the games room is for you and yours only. 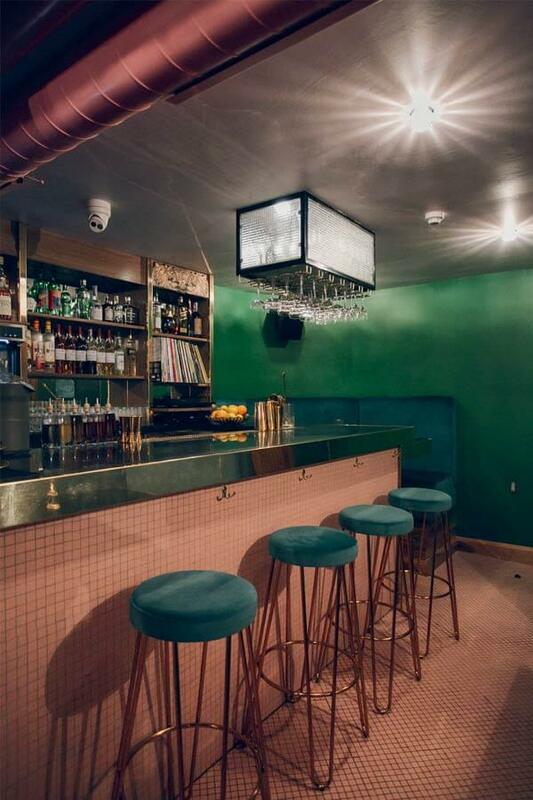 A fully stocked bar, access to the cinema and the aforementioned table tennis set-up will make for a decent night out. More info on food packages to go with here. 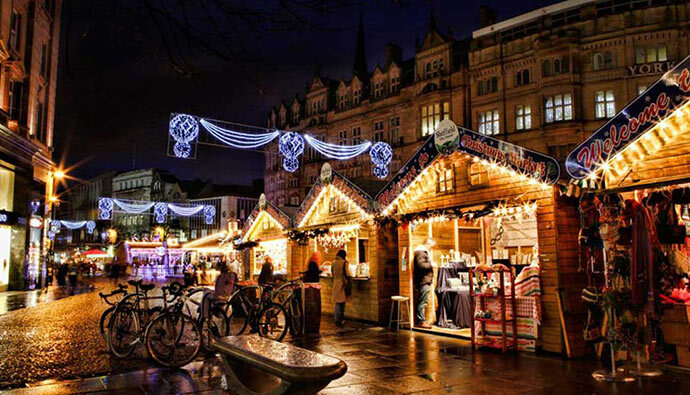 Open every day up until Christmas Eve, the annual markets return to Fargate with 50 cabins containing independent businesses selling a wide range of wares so you can find something for everyone. As well as prezzies, there will be plenty of seasonal food and drink on offer with the ever-popular Santa’s Grotto and revamped Sleigh Bar once again at the heart of things. Dine in style at the award-winning Public. Fifty notes a head, a bespoke three course meal with wine and cocktail pairings plus a welcome drink on arrival. The whole shebang! Every Wednesday, Bloo 88 puts on free Salsa lessons. For nowt. Nothing. 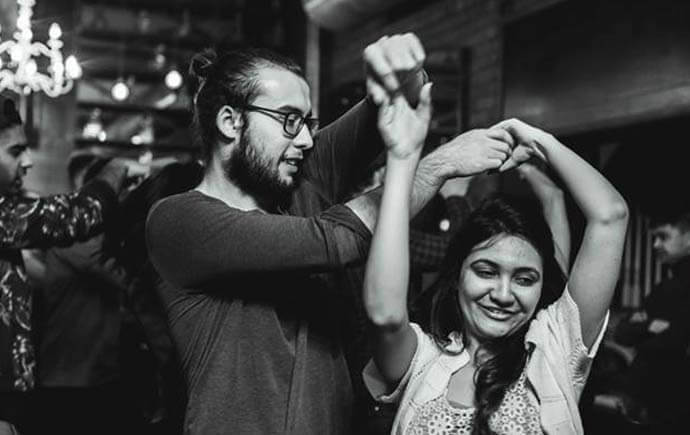 You can even test out your new moves with a social Salsa session in the upstairs bar afterwards if you’re confident enough! 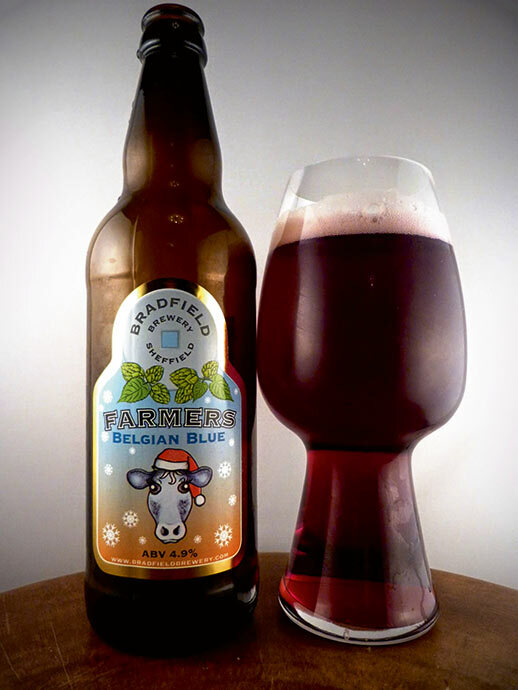 It’s probably safe to say that Bradfield Brewery’s seasonal beer, Farmers Belgian Blue, has become established as the ultimate winter warmer for Sheffielders at Christmas. As soon as it appears on the bar in pubs across the city, you know there’s not long to go until the big man arrives. If you fancy stocking up at home, the 4.8% ale is available in a nine-gallon cask, mini-bottles and kegs online – but enjoy responsibly, obvs. 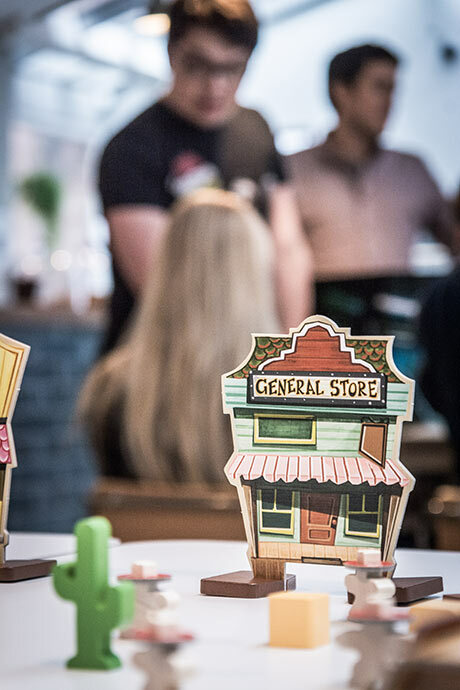 Picking a decent board game is a key part of the Christmas festivities, and by paying a visit to Treehouse you can do much better than dusting off the old Monopoly set. There are over 300 games to choose from, staff to help out with rules/officiate any disputes, a fully-licensed bar and a menu of homemade food to peruse. Also, the likelihood of any board-flipping tantrums from certain family members or friends are nicely reduced in a public space. Whether you get your yuletide kicks from Bublé or keep it old-school with Bing at Crimbo, you’ll be able to find something which puts the jingle in your bells from one of our many independent record shops dotted in and around the city centre. Bear Tree Records and Record Junkee (town), Record Collector (Broomhill) Spinning Discs (Walkley) and Kelham Island Books and Music are all worth a nudge. How good does that look?! 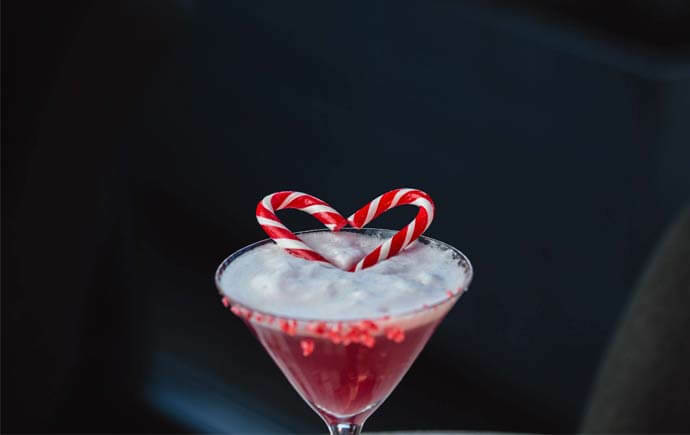 The candy cane cocktail is one of the new Christmas-themed cocktails on OHM’s ever-growing drinks menu. Candy Cane! Rum, peppermint and cranberry juice. It’s a bit of us, to be honest. 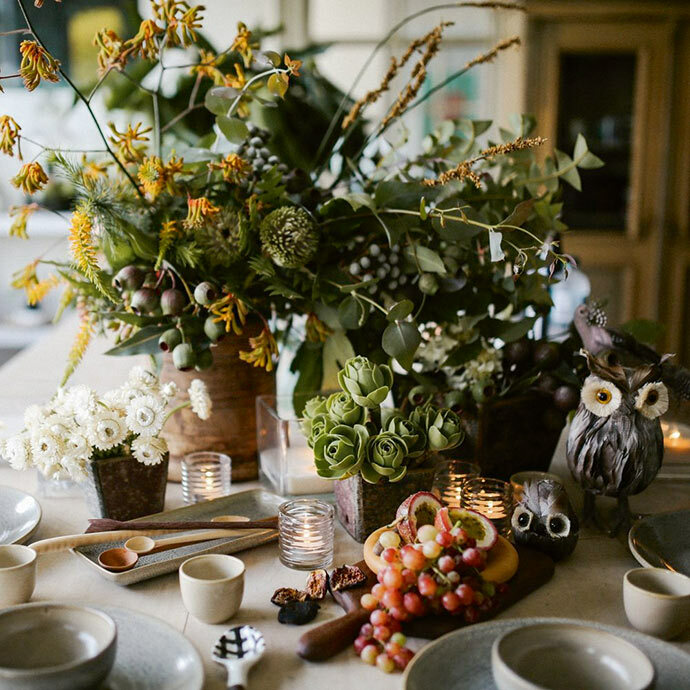 Hosting Christmas dinner this year and looking to impress? The pros from Fantail Designer Florist will be on hand at The Riverside on Sunday 16 to help you craft your own festive centrepiece. Enjoy a glass of prosecco on arrival before getting creative during the two-hour session.